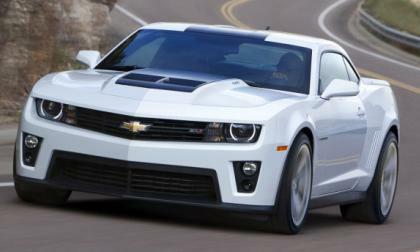 While the American performance car world has long expected that the next generation Chevrolet Camaro for 2016, General Motors has now confirmed that 2015 will indeed be the final year for the current incarnation of the Camaro – and we are likely to see the next generation GM muscle car at the 2015 North American International Auto Show in Detroit. 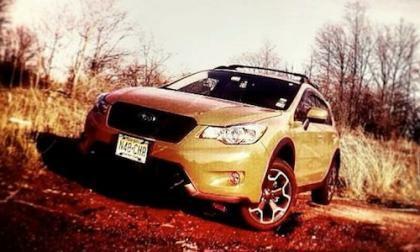 The 2014 Subaru XV Crosstrek has made KBB’s “10 Most Affordable SUVs” list. Why is 8.7 inches so important? Preliminary results from electric vehicle owners indicate that EV owner satisfaction blows that of conventional vehicles out of the water. 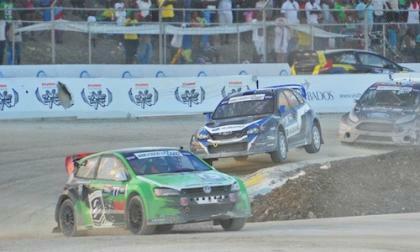 Red Bull Global Rallycross Top Gear Festival Barbados airs tomorrow May 24 1-2PM ET on NBC. 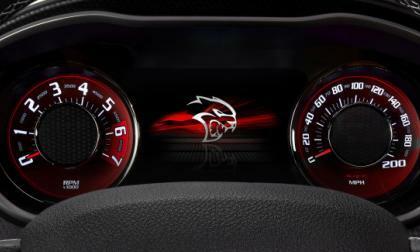 The 2015 Dodge Challenger SRT Hellcat will feature a 200 mile per hour speedometer, leaving us to wonder if the 600+ horsepower Mopar muscle car could be the 4th of the modern American performance cars to hit the 200mph mark – possibly joining some very impressive company including the Dodge Viper, the Chevrolet Corvette and the Ford Mustang. Drivers around the world want a go at Tesla’s Model S, but many are forced to wait as China and Europe get first global dibs. 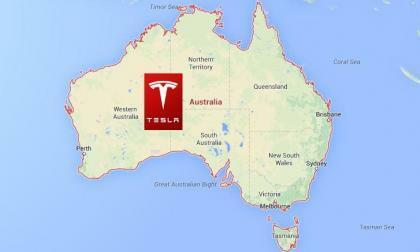 Australia hasn’t been tops on Tesla’s list but it was recently revealed that the company will begin deploying Supercharger stations in the country next year. 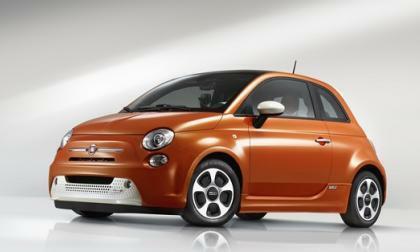 Fiat is not alone among the world’s leading automakers in thinking that EVs are not working out. Toyota feels the same way. 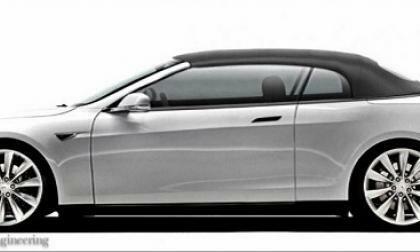 Tesla’s Model S is already a highly desirable and expensive vehicle. If it’s not exactly what you’re looking for and you have a lot of extra cash to burn, Newport Convertible Engineering can help. 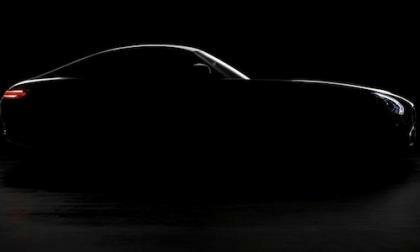 This fall, AMG's next high-performance vehicle will make its world debut: The 2015 Mercedes-AMG GT. 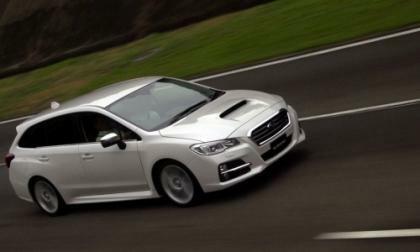 The all-new 2014 Subaru LEVORG launches this week in Japan and is coming with two unique features. 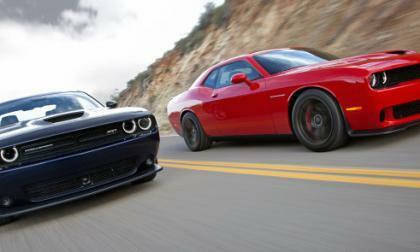 While the big news from the Chrysler Group yesterday was the official announcement of the 600+ horsepower Hellcat Hemi that will power the 2015 Dodge Challenger SRT, but while we were all so focused on the new supercharged monster, we quickly skimmed over the fact that the new SRT Challenger will be offered in two different trimlines – one with the Hellcat Hemi and one with the current 392 Hemi. 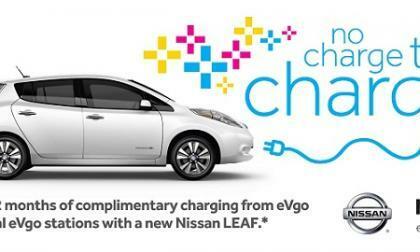 Nissan’s EZ-Charge program was created to bring free and convenient charging to new LEAF owners, but at the last minute the most important player in the agreement got cold feet and withdrew from the promotion. 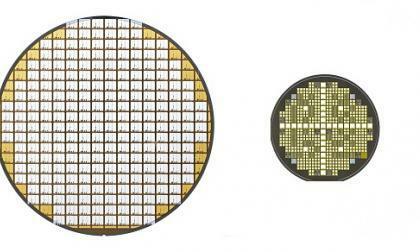 Yes, the 100 special ones are now sold. We warned you! 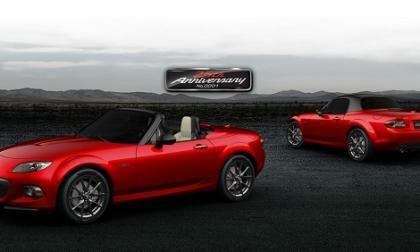 However, there are still great Miatas to be had. 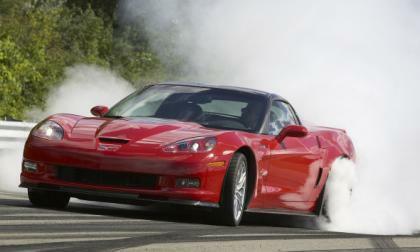 Late last week, some reports surfaced insisting that there would be a final collection of C6 Chevrolet Corvette ZR1 coupes built to commemorate the end of the 6th generation Corvette, but after checking with a connection familiar with the proceedings at the Corvette assembly facility in Kentucky – these reports seems to be completely incorrect. 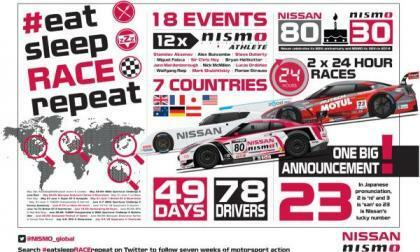 Nissan's factory tuning and racing arm is cranking it up for the racing season with competitors hitting nearly every major race event in the world. Join in and get pumped. 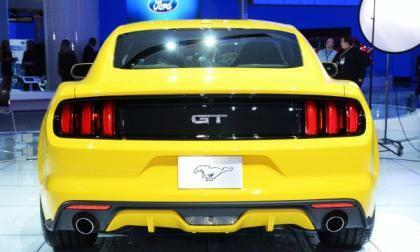 Yesterday we brought you the initial pricing for the 2015 Ford Mustang V6 fastback and the news that the order banks were officially open and today, we have new information regarding the prices of the 2015 Mustang GT and EcoBoost models. 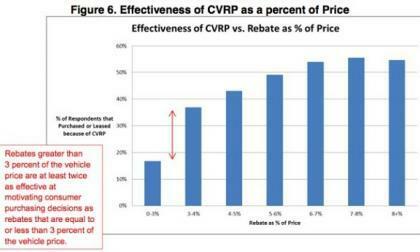 The California Air Resources Board had been toying with the idea of limiting state rebates to zero-emission vehicles with a price tag below $60,000. Now it appears that this proposal has been scrapped. 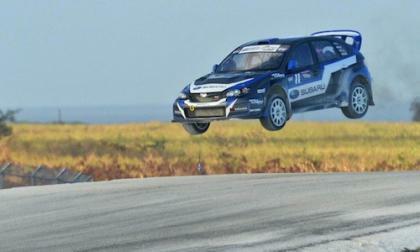 Global Rallycross Top Gear Festival Barbados results are in and it was less than a party for the 2014 Subaru WRX STIs. 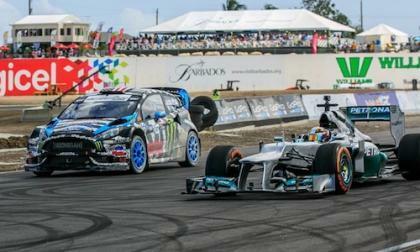 2014 Global Rallycross Barbados was full of action and some fun between Ken Block and Lewis Hamilton. Watch what happens. 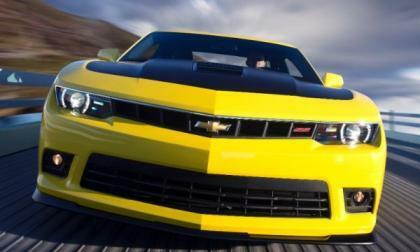 The Chevrolet Camaro ZL1 is the most powerful bowtie clad muscle car available right now with 580 horsepower and with the new 2015 Dodge Challenger SRT Hellcat packing at least 600 horsepower – the Camaro will have to wait until the 6th generation to take a shot at the most powerful muscle car title. Toyota explained today how its next generation of Prius and other hybrid vehicles will achieve the 5% efficiency gains promised, and how an added 5% may be added by 2020. Motor trend likes to take the opposing view on a lot of issues. 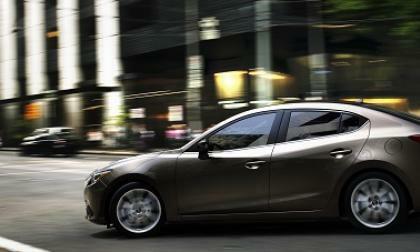 However, its recent test of the Mazda3 against all its competitors is important in more than one way. 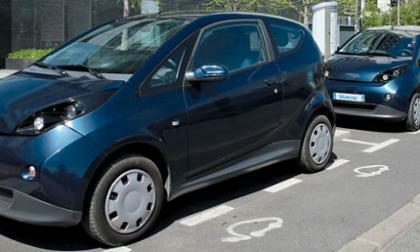 Does BlueIndy electric car-sharing have a chance to succeed in Indianapolis? Car sharing is by all accounts on the rise, as younger urban-dwellers realize that owning a car isn’t necessarily a good investment. 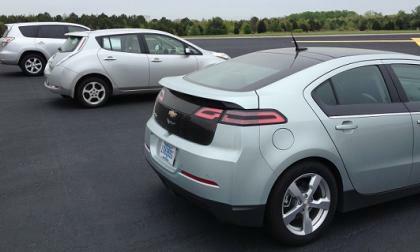 A French car sharing company bringing its electric vehicles and business model to Indianapolis therefore could be a big hit, but the risk is high. 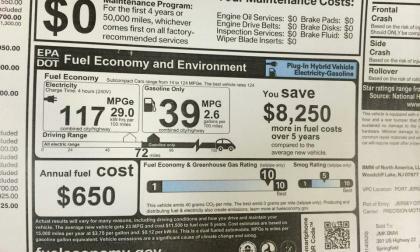 Read more about Does BlueIndy electric car-sharing have a chance to succeed in Indianapolis? 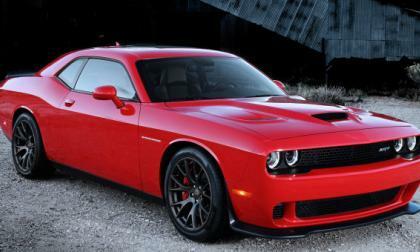 This morning, the Chrysler Group dropped the first official information on the long awaited Hellcat Hemi that will power the 2015 Dodge Challenger SRT – including the incredible news that the Hellcat will indeed pack more than 600 horsepower. Will 2015 Subaru WRX STI NBR be ready for Nurburgring 24-hour? Subaru Tecnica International’s (STI) entry in the 2014 Nurburgring Long Distance Championship is the 2015 Subaru WRX STI. It’s getting ready. Read more about Will 2015 Subaru WRX STI NBR be ready for Nurburgring 24-hour? 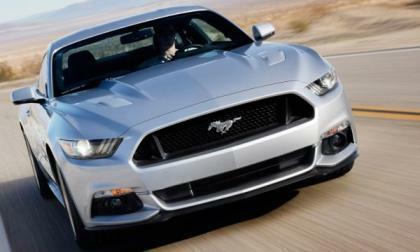 Ford Motor Company announced this morning that they have officially opened the order banks for the 2015 Ford Mustang and while the company still hasn’t announced full pricing or official power numbers – we know that the base 2015 Mustang V6 fastback starts at $24,425. 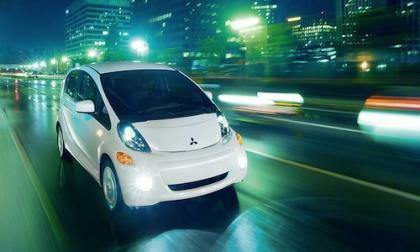 It takes a great deal of money to produce a successful startup, especially for one that makes electric vehicles. 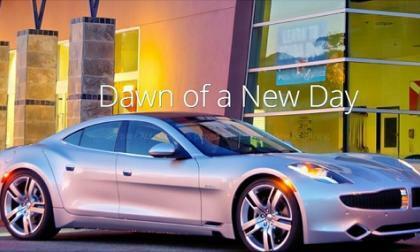 That shouldn’t be a problem for Fisker under its deep-pocketed and passionate new owner. 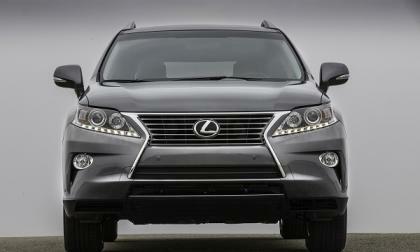 The RX 350 is the best-selling luxury crossover in existence, but is limited to 5 seats. Lexus is planning a 7-seat crossover and the name might be "Texas."